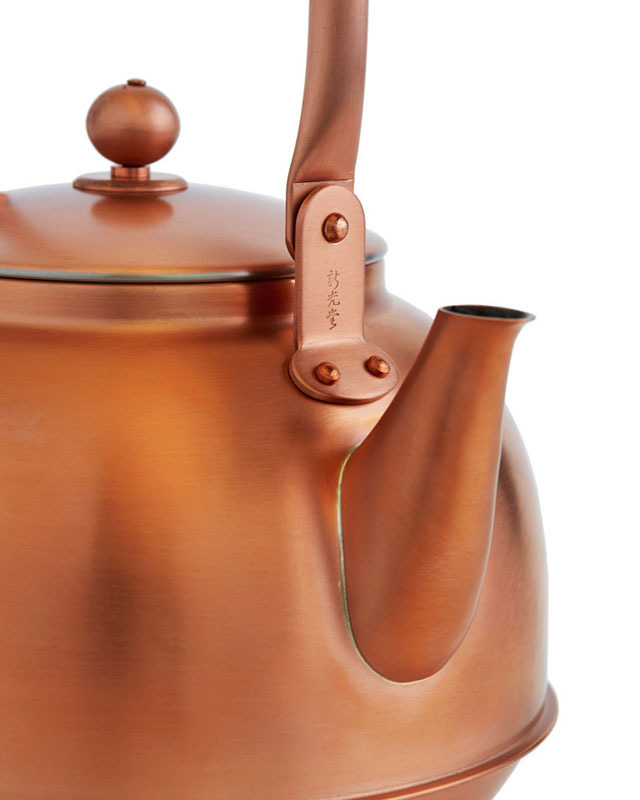 traditional japanese tea ceremony kettle & noriyuki traditional japanese tea kettle - japanese tea kettles. 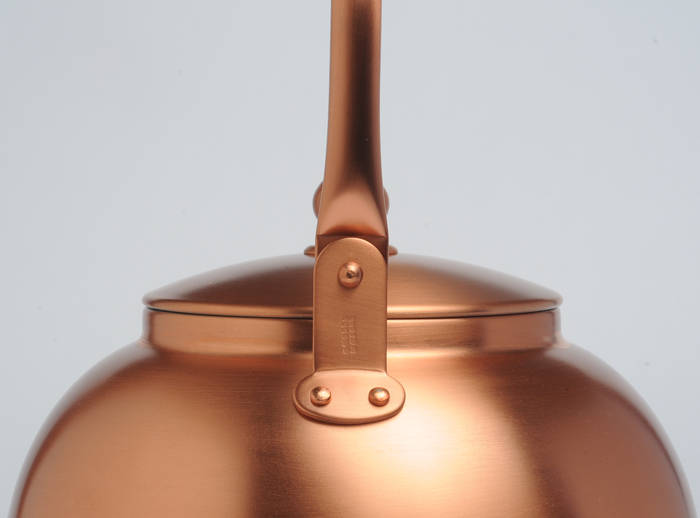 copper with wax coating & nickel plated interior. made and imported from japan. capacity: 73 fl oz (2.18 liter). weight: 1.8 lbs. 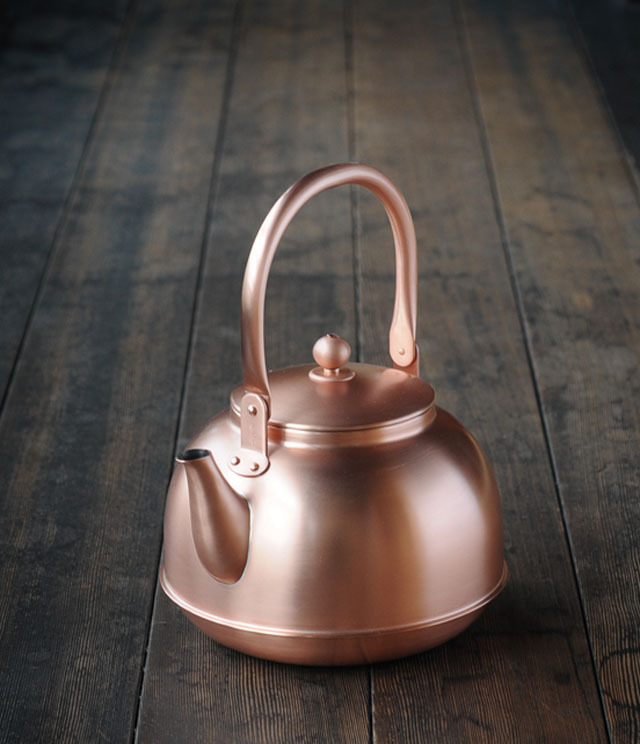 dimensions: 7.75"w x 7.75"d x 9.5"h. create a little bit of japan at home with the noriyuki traditional japanese tea garden kettle in copper. 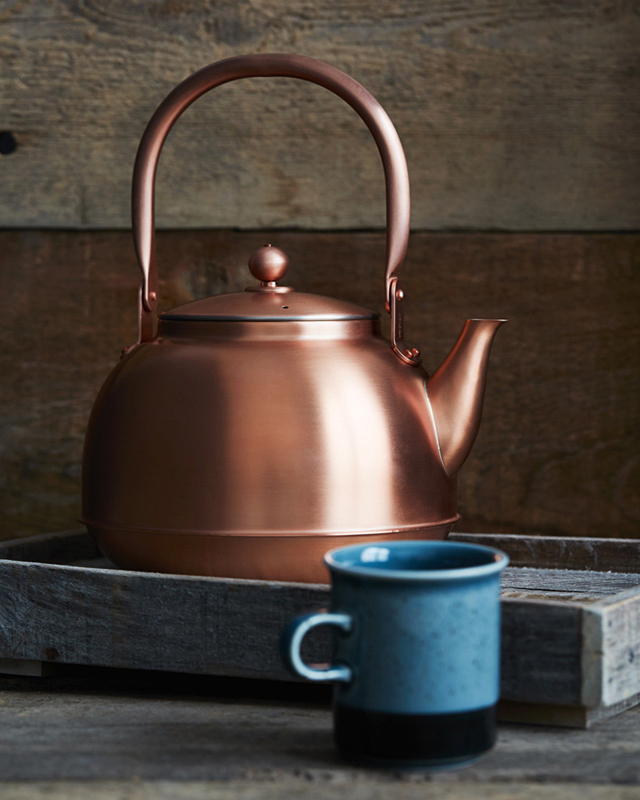 designed and handcrafted by master artisans in japan; this kettle features a copper construction that allows for high conductivity and it will develop its own patina over time with use. 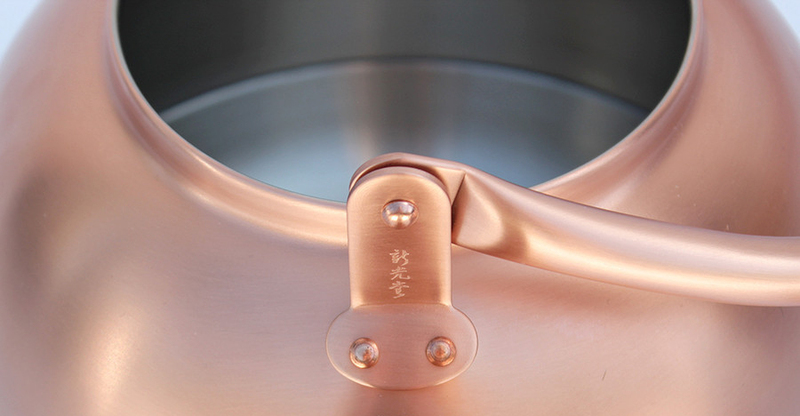 the surface finish of this product is a wax coating (ibota wax). 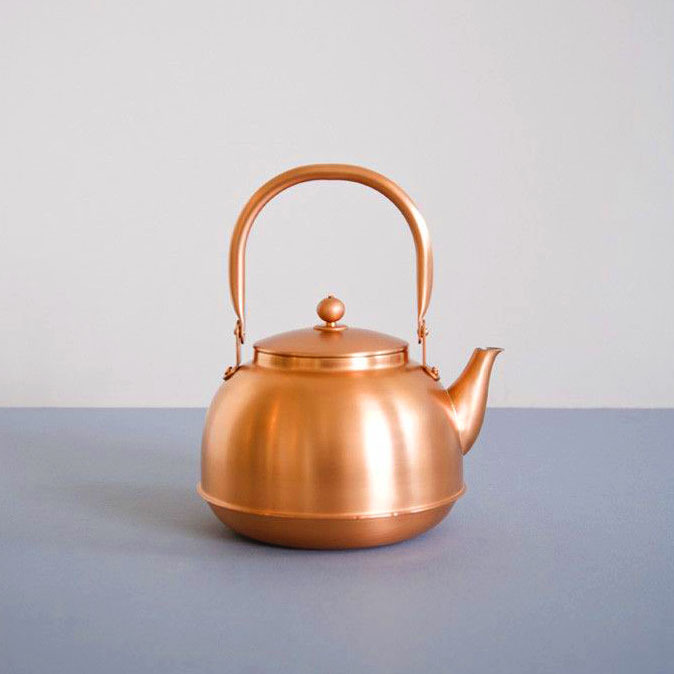 the wax coating can be removed with a mild dishwashing detergent wash and this will expose the copper to natural oxidation, elegantly changing its patina with usage from reddish gold to deep amber. please note that this kettle is not compatible with (electromagnetic cooker) ih cooking heater.